American Urbanism places special attention to civic architecture. These buildings are located in prominent locations, utilize the finest architecture, and provide a home for civic activities. These buildings are commonly refered to as the special buildings. Description: The Town of Arcadia was settled in 1883, incorporated in 1886, and became the county seat in 1888. By the late 1880s the population was 300. On Thanksgiving night 1905 the town burned. Three brick stores survived. Using only brick or block, rebuilding began immediately. Most of those buildings remain today. During World War I with its two flying schools, Carlstrom and Dorr Fields, Arcadia became known as the “Aviation Capital” of Florida. The land for Arcadia’s first city hall (140×142) was a pineapple patch bought in 1917 for $3,000 from Fred and Ida Gore. City Hall was designed in the Mediterranean Revival style and was furnished in June 1926 at a cost of $45,216, including all furnishings. A section of the original nine-foot office counter and steel shelves for the vault are still in use. 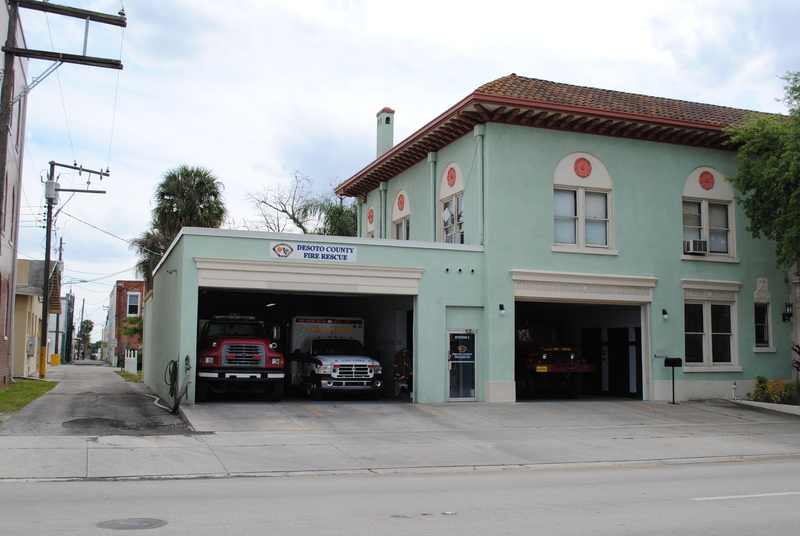 The fire station first housed a solid, rubber-tired, auto driven hose wagon with chemical tanks and a 1924 American La France fire truck which is still owned and running. The original 20-foot brass fire pole and the 400-pound siren are to be placed in the City Hall Museum. 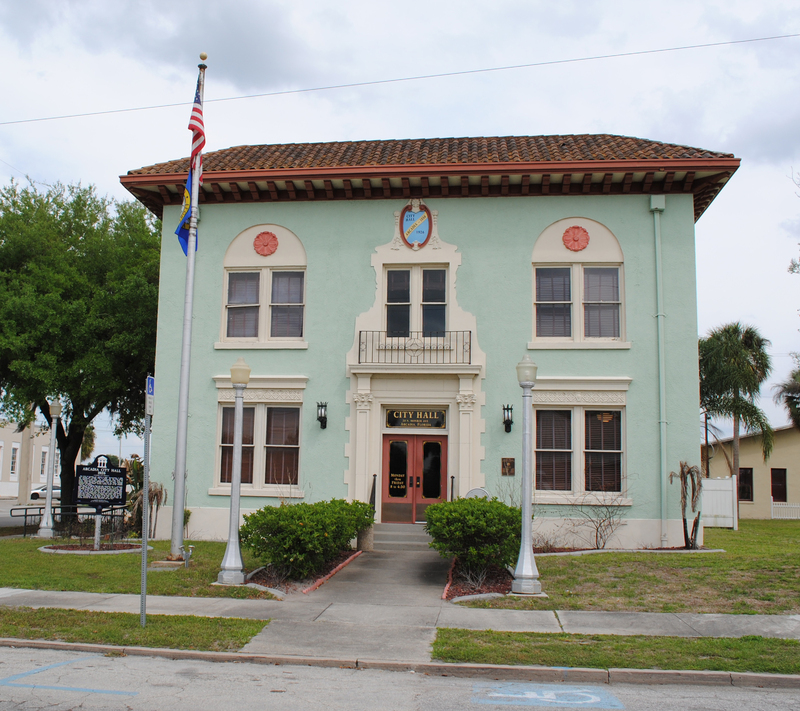 In 2004, restoration of City Hall began with funding from the Florida Division of Historical Resources and the City.